Does Denver offer a pathway to future arts' funding? Republicans seem intent on ending Federal funding for the arts. It is time for fiscal triage and new ideas. Denver and its surrounding counties have come up with an answer. Significantly, it depends on votes of citizens who care about culture. It has been a success for arts in the Denver area. You can attend great theater every night some 2000 miles from Broadway. Kurt Weill composed Three Penny Opera in the living room of Henry Lowenstein’s parents in Berlin when Henry was a young boy. At 13 he was part of an illegal scout troop that met in secret. "We were naïve as hell," he said. Henry’s parents arranged to have him go to Paris for safekeeping. A young girl, a friend of the family, was to go with him. When Henry fell ill, his mother made other arrangements. The girl was killed in Paris. Henry became part of kindertransport and worked in a zoo during the war. “I was not fed as well as the animals,’ he later said. He also activated the Denver community to press state legislators to take one tenth of one percent of every item sold in the Denver area and invest it in the Scientific & Cultural Facilities District. Voters created the district in 1988 and renewed it in 1994 and 2004. Funding benefits The Denver Zoo, Denver Museum of Nature & Science, Denver Art Museum, Denver Botanic Gardens, as well as more than 250 mid-sized and smaller arts nonprofits. The stategy is crucial to maintaining Denver’s vibrant, growing cultural scene. Attendance at performing arts events has climbed 95% since the unique tax-district began and citizens now have access to twice the number of organizations. 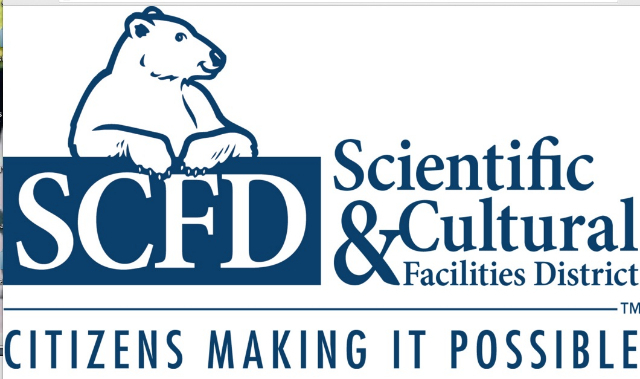 The SCFD generates $1.85 billion annually in economic activity, creates 10,205 jobs, and stimulates $520 million in tourism, according to the Colorado Business Committee for the Arts. “Each time voters have had the chance to register their opinion on the district, we have received a resounding vote of confidence,” said Dan Hopkins, chair of the district’s board of directors. “This vote once again affirms the popularity of, and strong voter support for, arts and culture,” said Jim Harrington, chair of the Citizens for Arts to Zoo, the campaign formed to support the tax renewal. The cultural district collects one penny out of every $10. It distributed $53.2 million to arts, cultural and scientific groups last year. That was an encouraging 14.6 % increase from 2013. While there is concern that Republicans are intent on ending funding for the arts, the Denver experiment is a cost effective strategy for sustaining cultural excellence.